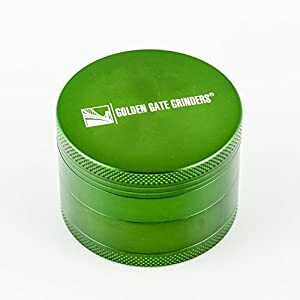 OPTIMAL SIZE – standing at a TALL 3.5 inches x 2.5 inch diameter this grinder can shred through impressive quantities of herb with EASE. 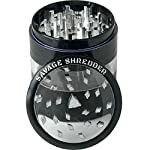 The finely shredded herb falls into the broad CLEAR chamber, which can hold up to 6 table spoons of HERB. 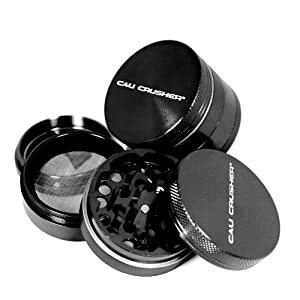 The clear window allows VISIBILITY. Optimal size to AVIOD messy spills. 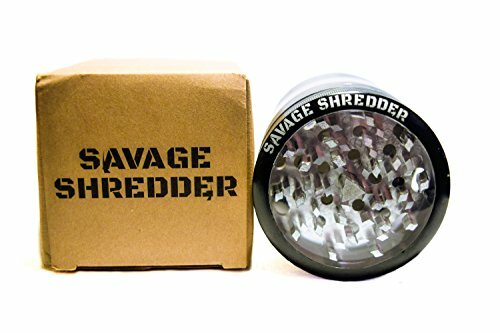 SUPREME SHRED – These 49 diamond shaped sharp teeth combined with smooth precision glide rings will make your grind feel EFFORTLESS. 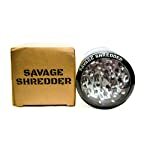 This powerful shred will disperse matchless pollen through the underlying 100 micron mesh screen. 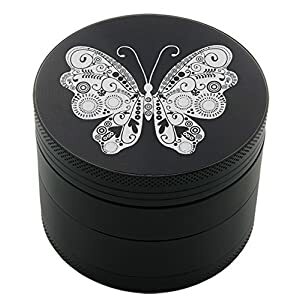 INCLUDES pollen scraper. 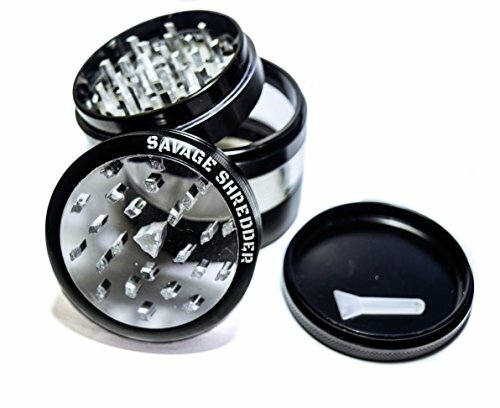 TOP QUALITY AND SAVAGE DESIGN – This is a dynamic duo. 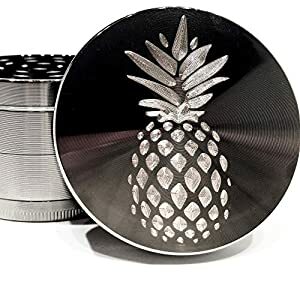 Not only is this the FINEST and most sophisticated grinder in the market, but it is also infused with style, design, and branding. 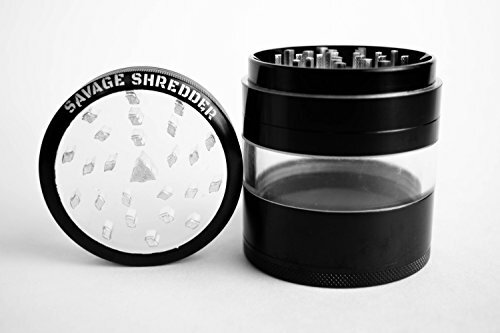 Made with an acrylic WINDOW and clear top for useful transparency, it allows you to see your shredded herbals, tobaccos, and kitchen ingredients. 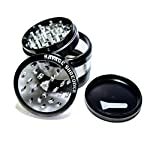 This grinder is surrounded by 4 four PREMIUM GRADE ALUMINUM pieces that make the build strong and durable. 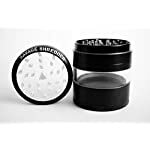 CONVENIENT ON THE GO POCKET GRINDER – Remove the clear window center chamber and CONVERT your shredder to a compact 3 piece POCKET GRINDER.